So far Epson are well in front as being the worst printer brand and this is definitely no surprise to us. Over the past 10 years of being in the printer industry we've found Epson to have been the most troublesome printers on the market. Feel free to place your own vote, the poll is in the left column and as you can see so far Epson are way out in front and HP in second place. There is no doubt that Epson are the worst printer on the market and I'm sure that any printer cartridge reseller would back this up. Why is Epson Leading as the worst printer brand? There are many reasons why Epson is leading as the worst printer brand and I can almost guarantee that I know the reasons why. The main reason is the hopeless software that Epson printers have used over the years to try to combat generic cartridges. It is so bad that often it even rejects Genuine Epson cartridges. The second reason is the poorly designed Piezo printhead which clogs easily and also traps air causing missing print and even no print whatsoever. 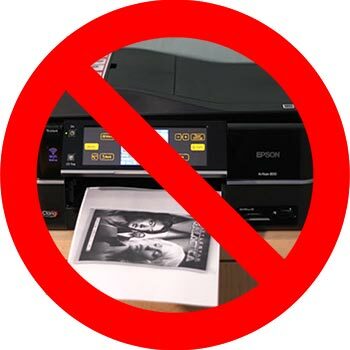 If you've read some of our previous articles you will know my dislike for Epson printers. In saying this we sell more Epson generic cartridges than any other brand. Part of the problem with Epson printers I think is that they are churning out heaps of low budget inkjet printers to remain competitive and they seem to have a very high failure rate. The failure rate is so high that places like Officeworks simply swap them over without asking questions if returned under warranty. I know this cause many customers have done just that and they dont even blink an eyelid when they return them.